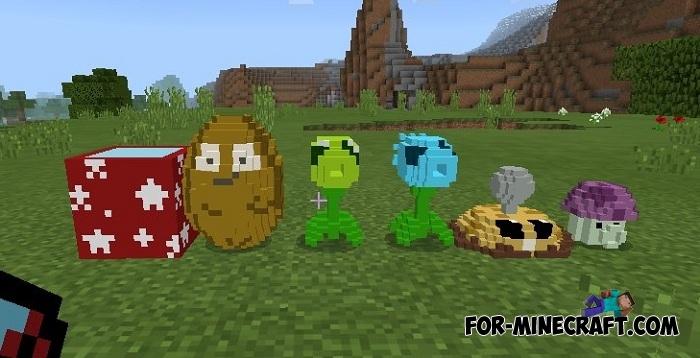 Your house will be under reliable protection with the Plants v Zombies addon thanks to five new creatures. 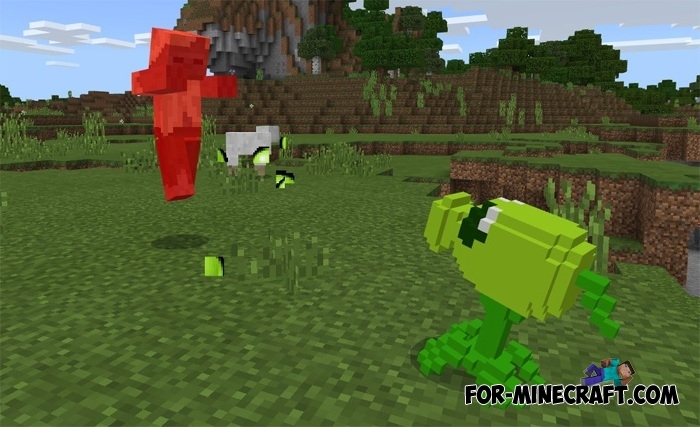 They perfectly defend their positions and will not allow your enemies to approach more than 15 blocks. In the original game, the player uses the solar energy to summon the plants on the battlefield. Fortunately, you do not have to save energy, take a Jack in the Box which is used as a spawn item. Transformation occurs instantly without waiting and the grown plant immediately goes into defense mode. Any hostile mob will be attacked if it comes too close. If you played Plants v Zombies then surely remember some of the features of the plants included in this addon. 1. Download the addon and unpack it.